Approaching it's 40th anniversary, Complete Site Services continues to pride itself on its ability to help customers achieve their property design and maintenance goals. 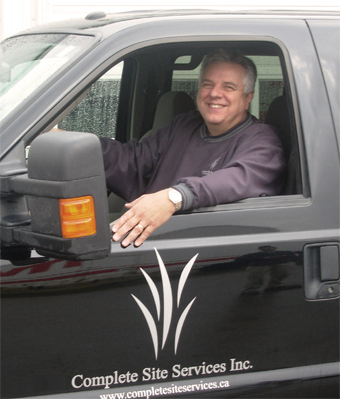 The owner, Richard Alischer, is a past president of the Waterloo Chapter of Landscape Ontario, has served on numerous landscape committees, and has been in the business since 1978. Richard equips his employees with the knowledge and tools to get the job done right. Every project is completed to the customer’s satisfaction.